When you think about serving God, what comes to your mind? Maybe you think of helping with special events at church like Vacation Bible School, helping teach a children’s bible class or tending the nursery during services. Maybe you think of giving to those in need, praying for others or simply attending church services and devotionals. All of these things are great ways to serve God and He desires for us to want to serve Him, but what does being a servant really mean? Jesus Christ lived the life of a servant throughout his time on Earth and set an example for us to follow. “For to this you have been called, because Christ also suffered for you, leaving you an example, so that you might follow in his steps,” 1 Peter 2:21. Jesus left us his example so that we, as followers of Christ, would have someone to measure our lives by and know, without a doubt, what God expects of his servants. Jesus gave us the true definition of what it means to be a servant. When tempted by Satan, Jesus quoted scripture and said, “You shall worship the Lord your God and him only shall you serve,” Matthew 4:10. Another time when Jesus was asked what the greatest commandment was he replied, “You shall love the Lord your God with all your heart and with all your soul and with all your mind. This is the great and first commandment. And a second is like it: You shall love your neighbor as yourself. On these two commandments depend all the Law and the Prophets”(Matthew 22:37). When Jesus served, he did it out of love. Serving and love are one in the same. You can’t be a true servant of God unless you love God with all your being and love others as yourself. 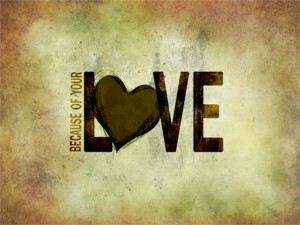 So basically we must love like Jesus loved, unconditionally and whole-heartedly. No pressure, right? To love God and others more than yourself is a simple concept in writing, but all Christians know how difficult it is to possess that kind of love and humility. But there is hope! Jesus came to Earth as a man, was pleasing to God and had no sin in his life. By his example, we know that it is possible to take hold and embrace the agape kind of love. Paul often referred to himself as a bondservant of Christ, meaning he was bought with a price and was the property of Jesus. During Paul’s time, having slaves or bondservants was a common practice. Bondservants had no choice to obey their masters; they would obey or be punished. As Christians, we are also bondservants of Christ, but Christ is a different kind of master than a human one. He rules out of love and asks only that his followers serve and love him back. In the book of 1 John, a great deal about love is revealed to us. John tell us,“Beloved, if God so loved us, we also ought to love one another…if we love one another, God abides in us and his love is perfected in us” (ch. 4, vs. 11-12). John goes on to say that “God is love, and whoever abides in love abides in God, and God abides in him. By this is love perfected with us so that we may have confidence for the day of judgment” (ch. 4, vs. 16). To possess the heart of a true servant, God’s love must abide in us and be perfected in us. As humans, we are weak and will not always be perfect (Romans 3:23). But remember, “we love because he first loved us” (1 John 4:19). Being a true servant of God is more than our acts of kindness and service. Being a servant requires us to love like Jesus loved and serve with all our hearts.